Stylish couples seem to gravitate toward The London West Hollywood for their wedding location. The Los Angeles wedding venue is modern and chic as are the brides and grooms we've photographed there. 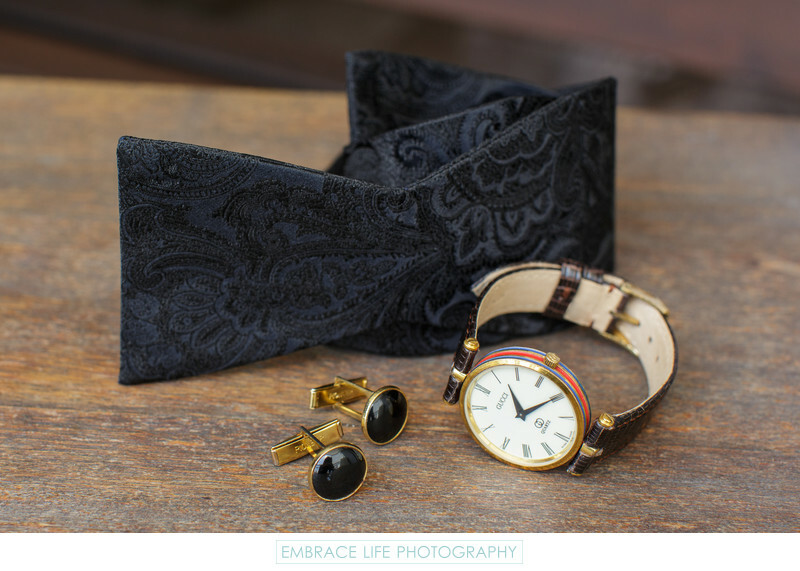 While the groom got ready for his wedding in a London West Hollywood suite, his Gucci watch, Pioneer cuff links and patterned, black bow tie were photographed on a wooden chair on the balcony of the hotel room. Location: 1020 N. San Vicente Blvd., West Hollywood, CA 90069. Keywords: Details (1125), Wedding (1437).